India produces 500-550 million tonnes of crop residue every year, with Uttar Pradesh, Punjab and Haryana being the highest producers. Farmers in northern India burn stubble due to lack of alternative ways for its disposal. The smoke from the straw burning becomes one of reasons for creating smog which causes heavy pollution in Delhi-NCR before the onset of winter. A 2012 study estimated that Punjab and Haryana burnt about 80% of rice residue, while Uttar Pradesh burnt 25% of it. The three states burnt 23% of wheat and 25% of sugarcane trash in the field, the study said. In the state of Punjab alone, there is close to 20 million tonnes of paddy straw which has to be managed in just about three weeks to enable sowing of the next crop. 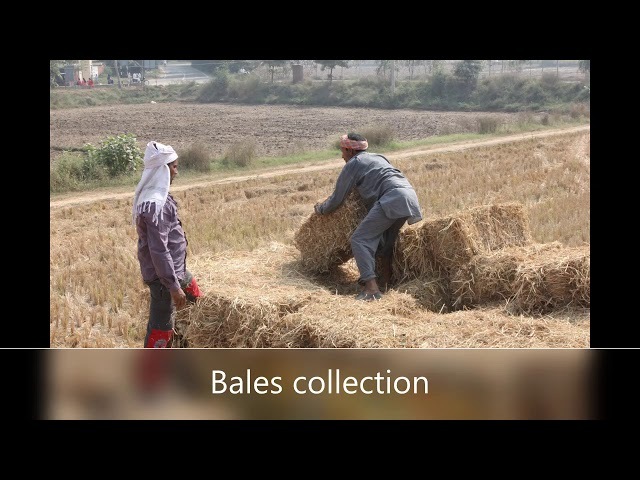 Farmers typically have been burning the straw as there are no practical solutions and taking out straw from the field is a costly option as there has been no use of the straw till now. A study — Socioeconomic and Environmental Implications of Agricultural Residue Burning published by Springer in 2015 mentions that the stubble burning results in emission of harmful gases such as carbon monoxide, N2O, NO2, SO2, CH4 along with particulate matter and hydrocarbons. A2P is working towards resolving the open field paddy straw burning problem by putting up sustainable projects for converting the straw into useful products for the purpose of Energy usage. The aim of the business is to provide value to all the stakeholders starting from the farmers. We collect paddy straw during harvesting in balled form, then we process the paddy straw into energy products like pellets. The first stage of making the pellets is completely commercialized and we have supplied pellets for energy purposes to clients like Pepsi, HUL and few big pharmaceutical industries. We are also producing animal feed using paddy straw.